I blogged about this only recently, but since then I have come across several new blogs and other resources. 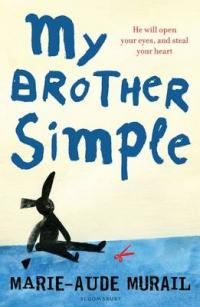 This week I read My Brother Simple by Marie-Aude Murail. It is a wonderful teenage novel that gives a great insight into the impact of learning difficulties. That sounds very worthy, but the book really isn’t. It’s touching and funny. Highly recommended. Disability is this month’s theme on the Playing by the Book blog. Alexandra Strick has written an excellent guest post on how books can help capitalise on the Paralympic spirit and build children’s awareness of disability. And this post reviews of lots of relevant books. If you scroll down the comments, there are extra suggestions. A recent debate about this topic on the TES forum has led to this Pinterest board of disability awareness books.